Home to one of the world’s most challenging links courses, Humewood is consistently ranked as one of South Africa’s Top 20 golf courses. The late Bobby Locke considered Humewood Golf Course to be the best in South Africa and said that it compared favourably with the top links courses in the British Isles. 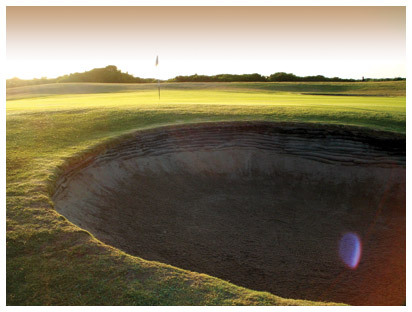 Humewood has hosted the South African Amateur 9 times and the South African Open 4 times. 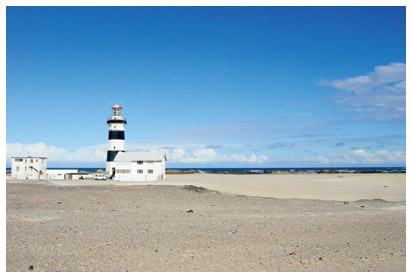 Cape Recife Lighthouse is situated in the Cape Recife Nature Reserve on the Southern point of Algoa Bay, and approximately 15km from Port Elizabeth. Cape Recife Lighthouse was commissioned on 1 April 1851. It is the turning point into the bay and warns mariners of Thunderbolt Reef and other hazards which have to be given a wide berth. The tower, 24 metres high is built on a rock foundation, known as D’Urban, and it situated on a headland in the midst of a large expanse of sandy beach. The warning system is equipped with a fog signal, radio beacon, a red light (28º) and a flashing white light (332º) that shines every 30 seconds at a focal plane height of 28 meters above the high water mark. The current sighting range is 29 nautical miles with a light power of 4 000 000 Candelas. 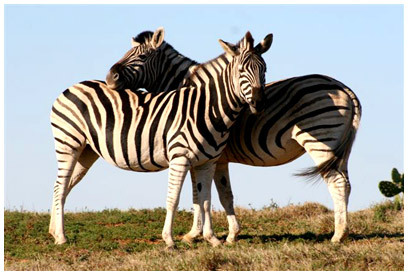 Nelson Mandela Metropolitan University (NMMU) and the Cape Recife Nature Reserve both offer a variety of animals to the patien t visitor. The game seen in the area include the Grysbok, Bushbuck, Blue Duiker, Cape clawless otter, Zebra, Springbuck and Red Hartebeest. Honey Badgers and the locally endagered aardvark can also be seen. The Grysbok trail inside NMMU can be walked unguided but guided tours of both areas are available and provide a unique insite into the history of the area. The SA Marine Rehabilitation Centre (SAMREC) has been designed to provide world-class facilities which will cater for a number of widely divergent activities. 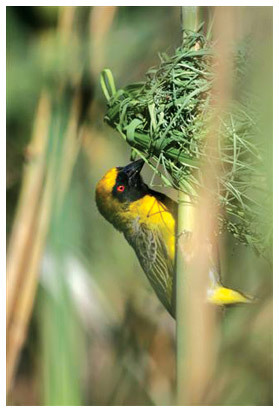 These include animal rehabilitation, environmental education, tourism and research. It provides for the active rescue of animals, and for their rehabilitation and operates with a stranding network of trained volunteers and a response team which will collect animals in need of assistance. 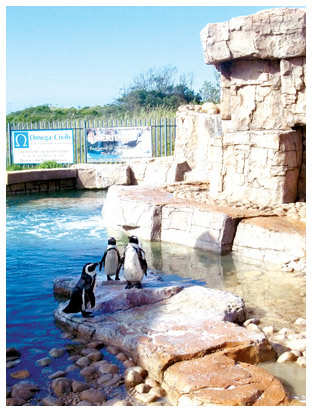 SAMREC can house approximately 200 penguins at any one time, and with additional temporary facilities, will have a maximum housing capacity of 2,500 penguins. In addition, it is able to house 20-30 other seabirds, 6-8 adult seals, 10-12 seal pups and several turtles. Tourist viewing is available on either guided or self guided tours with education about the animals, especially the penguin, of prime importance. The Cape Recife Nature Reserve is the best place near Port Elizabeth to see marine and freshwater birds and is one of the ‘must see’ birding venues in Port Elizabeth with 160 species regularly occurring. It is the best place in South Africa to see Roseate Tern. African Black Oystercatchers breed along the coastline where a good variety of migrant wanderers occur, particularly in summer. Algoa Bay has the largest African Penguin and Cape Gannet colonies in the world and pelagic seabirds often fly past close to the headland. 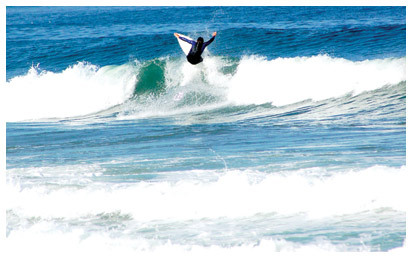 Cape Recife’s diverse coast- line offers watersports enthusiasts a wide range of activities. The rocky outcrops and sandy beaches make the area the perfect destination for surfing, fishing, snorkelling, scuba diving, windsurfing and kayak-fishing to name but a few. Surfing here is exclusive as onl y the ‘locals’ seem to know about it. Those who surf here love it and treat it’s breaks as somewhat of a local treasure. Popular spots include: Rincon (an excellent point break), Cobbles (a superb longboard wave that has been used for many South Africa and Provincial competitions) and Secrets (a good beach break wave). 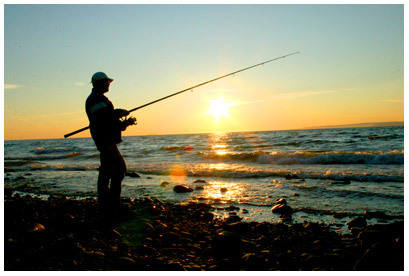 Surf Fishing in Cape Recife offers a variety of challenging locations including Flat Rock and the beach off Pine Lodge Resort. On offer are a variety of fish including Musselcracker, Elf and Hottentot. 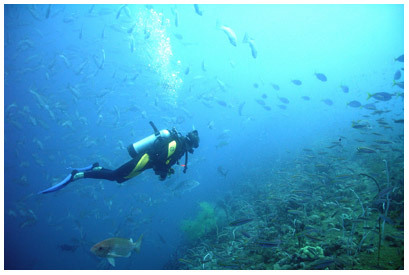 Noordhoek Ski Boat Club hosts a variety of activi ties for the marine enthusiast. With all the necessary safety requirements (NSRI, etc), the Club is the perfect launch facility for a variety of aqua activities including windsurfing, scuba diving, snorkelling, spear fishing, kayak fishing and deep-sea fishing.